Disputes with tenants can be a problem even if you have only one tenant at a time. Here are some strategies that can help you diffuse tense situations quickly and effectively before they spread to other tenants or cause profits to suffer. 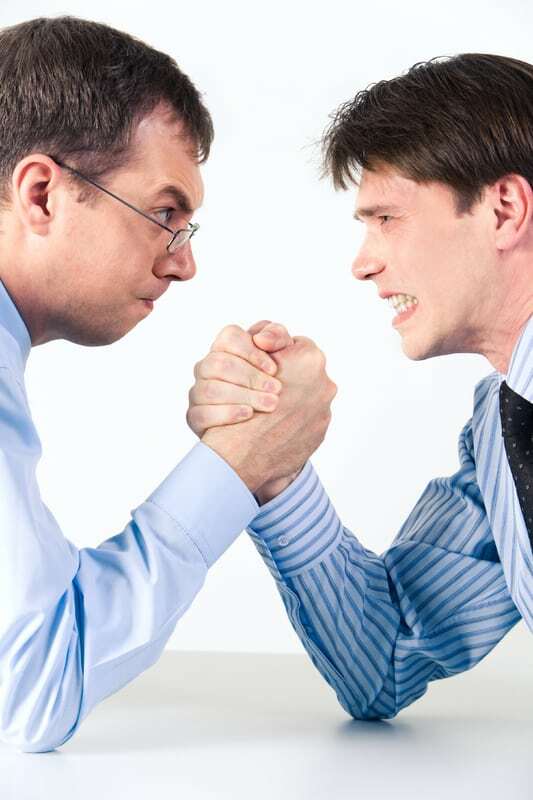 One trick for keeping conflicts low-key is to respond immediately to a tenant’s concerns. Answer the phone or email as soon as it comes in. Allowing an upset tenant to stew for even a day can make the situation worse. Tenants need to have faith that you will respond to their needs. If they lose patience, they may go somewhere else for help — like to other tenants, or even the police. Whenever you are dealing with your tenant, keep emotion out of it. Anger or hostility toward one tenant, or towards tenants in general, will quickly lead to lost profits. Meditate, count to ten, squeeze the heck out of your stress ball — whatever it takes to vent any emotion, and then go deal with your tenant as a calm, cool, and collected professional landlord. Know your legal rights before you make any threats or lay down the law during a tenant dispute. If you aren’t sure what those rights are in a particular situation, let the tenant know you will look into it. Then, call your lawyer and find out what where you stand and what your options really are. How much will it cost you? You need to know what you stand to gain, and what you stand to lose, from the situation. You need to identify if you are in a situation where you must evict a tenant, and when the situation calls for a more creative solution that avoids the costs and trauma of evicting a tenant. It’s important to listen to the tenant’s side of the story and do your best to try to empathize. Even if you don’t agree, you will get a better resolution by allowing the tenant to express their concerns. Sometimes, that’s all it takes. Let the tenant vent a little. If possible, talk face-to-face. Some people are more comfortable being jerks on the phone, but wouldn’t act like that in person. Use caution, though. If the tenant seems out of control, don’t place yourself in a dangerous situation. Don’t ask tenants to face one another in order to resolve a dispute between them. Don’t leave it to a tenant to investigate other tenants for you. That tends to keep them hyper-focused on the problem. Besides, you need to stay in control of the situation. Have a system in place for airing tenant issues. Think about common tenant problems — like repairs, noise, parking, pets — in advance so you will know what do to once you have the facts. List your options, and start with the least intrusive. That may include steps like providing a portable air conditioner if the HVAC goes down, offering to move a tenant to another unit, a stern warning, or even negotiating an early termination of the lease if that will save everyone a lot of stress. Make sure you include a note to yourself to follow up with the tenant to see how they are doing. Use every effort to save the relationship. Disgruntled tenants can cause permanent damage if they feel compelled to take their beef online. Once those bad comments stack up, it will turn off the best tenants, and it take longer to fill vacancies. Keep good records of all tenant communications so you don’t have to rely on memory, or try to recreate the event at a much later date. If you have received complaints from other tenants, it’s a good idea to document that, too. Ask the complaining tenant to journal the details and provide you the written information.